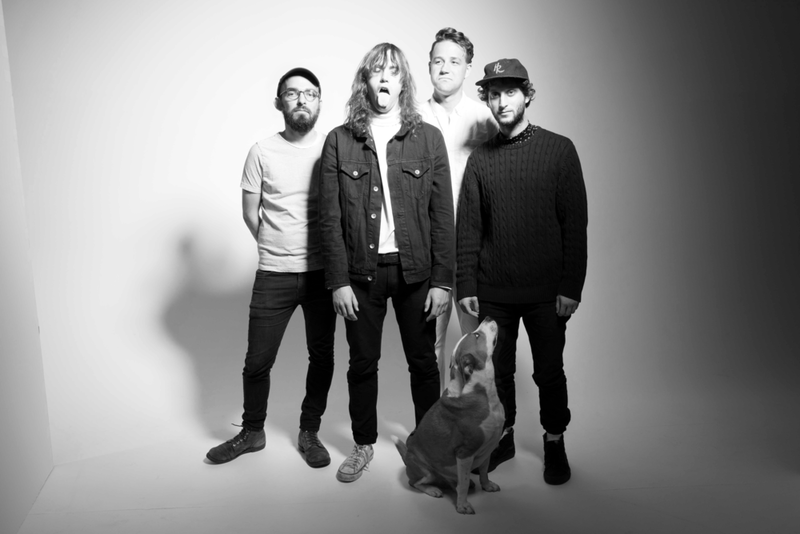 “We had to become a new band,” says Joe Killian, drummer of Philadelphia foursome Cold Fronts. The process by which the garage rock outfit evolved since their 2015 album Forever Whatever was an active meditation in collaboration, kinship, and reflection. With their sophomore full-length Fantasy Du Jour, out April 20 on Sire Records, the band -- Craig Almquist (vocals/guitar), Max Steen (guitar), Alex Luquet (bass) and Killian -- strike a balance between vulnerability and rambunctiousness, reflection and declaration. Over the album’s 13 tracks, Almquist’s gritty croon sneaks snark into surges of guitar, all at once intricate -- laced with shoegaze and surf rock touchtones -- and urgent -- rife with bombastic riffs and crunchy power chords. Album opener “This Always Happens” serves as a rallying cry for the romantically disillusioned -- “You never listen to anything or anyone / you’re not the one,” Almquist sears -- while the jivey title track adds a layer of vulnerability and romance to a collection of songs that dances around the notion of controlled anarchy. 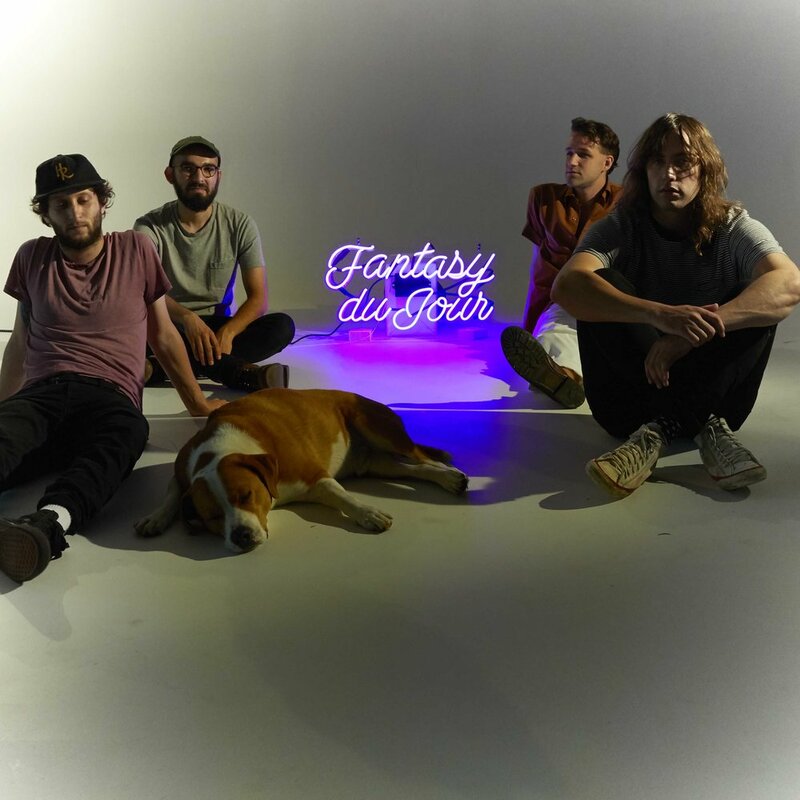 Recorded over the course of three weeks in early 2017 in New York City, Fantasy Du Jour marks the first time the band in its current iteration fully collaborated on a body of work. The quartet utilized the three years between Forever Whatever and Fantasy to hone their sound as a unit through extensive touring and subsequent group writing sessions which began when primary songwriter Almquist linked with Steen who played a major role in the creation of the songs on Fantasy, including its namesake track. On the opposite end of the spectrum, “Staying In,” a boisterous quip about smoking weed and getting delivery, was the product of the entire group, pairing the central vision of a lazy night with splashy hi-hat and sludgy bass. Almquist’s lyrics both plainly depict the life of a 20-something man who orders takeout and the external crisis of a world on the brink of self-destruction; the internal reckoning of desire and the justification of those feelings. Throughout it all, the running idea of right place, wrong time rings true, that love may be pure, but it doesn’t exist in a petri dish. Fantasy Du Jour extrapolates that we are all passing ships in the night, but that voyage should still be joyful, messy, complicated, wrought with guitars.